Cover image: “Lehi Announces Departure” by Owen Richardson. The modern chapter heading of 1 Nephi 1 indicates that the opening events began “about 600 BC.” For hundreds of years, the Nephites measured time by how long it had been since Lehi left Jerusalem.1Knowing exactly when Lehi left would go a long way in figuring out the timing of many other Book of Mormon events. Is it possible to be more specific about the when Lehi left Jerusalem? Scholars have used the information in the Book of Mormon to suggest a few different possibilities. Shortly after Nephi and his brothers returned, Lehi prophesied that in “six hundred years from the time [he] left Jerusalem, a prophet would the Lord God raise up among the Jews—even a Messiah, or, in other words, a Savior of the world” (1 Nephi 10:4; 19:8; 2 Nephi 25:19). Since Christ was born around 5 BC,8there’s obviously less than 600 years between either 597 or 588 BC. Ancient Israelites, on the other hand, used a lunar calendar of approximately 354 days, with an extra month added once every 2–3 years to keep it in sync with the solar year.12 Randall Spackman noted, if the Nephites did not add the extra month—like the “Muslim year” still used today in much of the Middle-East—then “600 strict lunar years” would pass between 588 BC and 5 BC.13 Thus, whether Lehi left in 597 or 588 BC, there are ways, based on ancient precedent, to count off 600 years until Christ was born (3 Nephi 1:1). “Departure of Lehi and His Family from Jerusalem” by C.C.A. Christensen. Even Mormon seems a little uncertain about how many years had passed between when Lehi left Jerusalem and the chronologically crucial time when King Mosiah took the throne, which Mormon estimated was “in the whole, about four hundred and seventy-six years” (Mosiah 6:4). Like historians today, Mormon apparently had some uncertainty about the timing of things that happened so many centuries before. Why then would anyone want to delve into this on-going chronological inquiry? For several reasons. It can be worthwhile to explore these different possibilities. Some proposals are stronger than others and one approach will solve certain problems better than another, but all offer possible implications about the context of the early chapters of the Book of Mormon. All of the different proposals fall within a very eventful 20-year window. 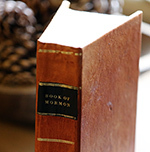 Each proposed departure date creates a different social and political context for the opening chapters of the Book of Mormon, yielding a variety of insights into why the Book of Mormon begins the way it does. 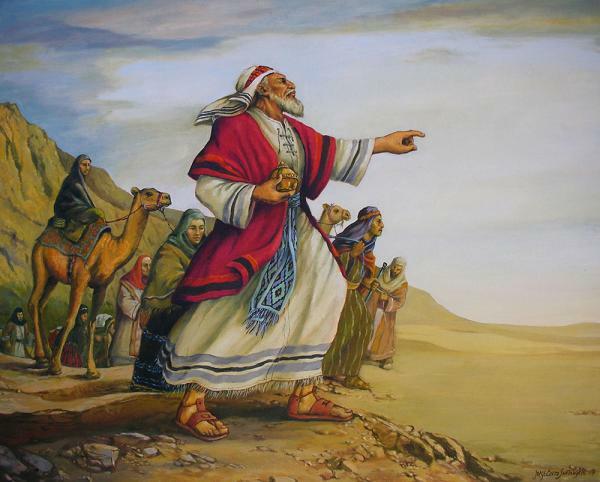 For many, Lehi’s 600-year prophecy is central to the Book of Mormon. For this reason, it is useful to know whether Lehi left in 588, 597, or 605 BC. 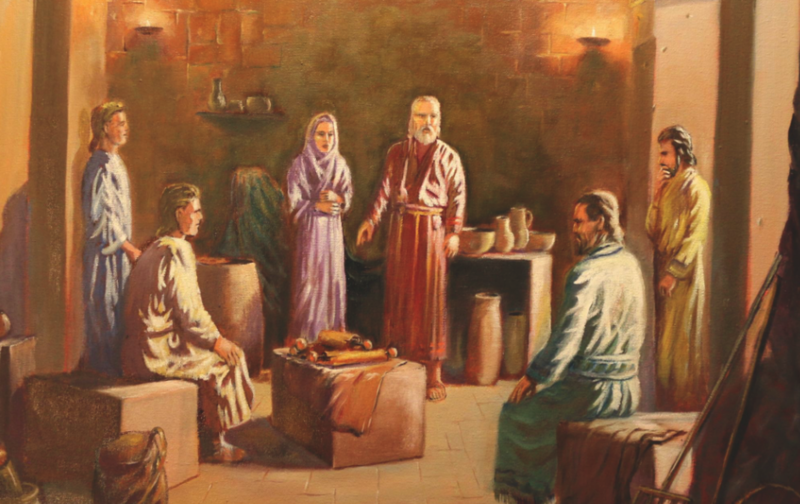 Either way, the Nephites may well have meticulously and accurately counted off 600 years between that time and Christ’s birth, depending on which ancient method of counting years they used and adopted. This uncertainty on the exact timing of Lehi’s departure and its relationship to the birth of Christ actually helps us to take stock of our own present situation. Thinking about the years of wondering and waiting experienced by the Nephites helps us to realize that we, likewise, live in a time in which we anticipate the prophesied coming of Christ—his second coming. The Savior declared “that the day and hour” of his coming “knoweth no man” (Matthew 24:36; cf. Mark 13:32), a fact which has been reiterated in modern revelation (see Doctrine and Covenants 49:7; 133:11). Thus, like the faithful Nephites, we too must “watch steadfastly” for the signs of his coming (3 Nephi 1:8; cf. Matthew 25:13), and be prepared to greet him whenever that glorious time arrives. 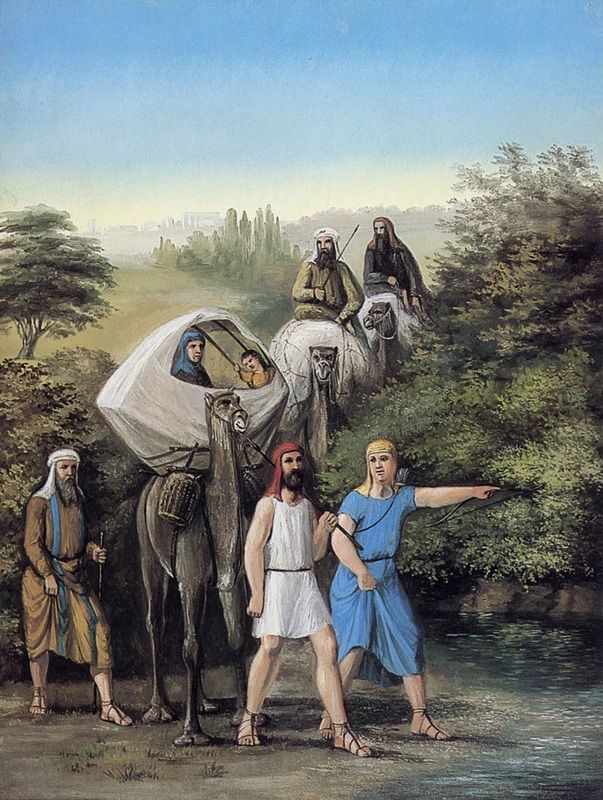 Jeffrey R. Chadwick, “Dating the Departure of Lehi from Jerusalem,” BYU Studies 57, no. 2 (2018): 7–51. David Rolph Seely, “Chronology, Book of Mormon,” in Book of Mormon Reference Companion, ed. Dennis L. Largey (Salt Lake City, UT: Deseret Book, 2003), 196–204. S. Kent Brown and David Rolph Seely, “Jeremiah’s Imprisonment and the Date of Lehi’s Departure,” Religious Educator 2, no. 1 (2001): 15–32. Randall P. Spackman, “The Jewish/Nephite Lunar Calendar,” Journal of Book of Mormon Studies 7 (1998): 48–59, 71. Jay H. Huber, “Lehi’s 600-Year Prophecy and the Birth of Christ,” FARMS Preliminary Report (1982).